For the personal loans no security is required. The repayment period is flexible as it is between 6-72 months. You can borrow up to Kshs.7 million. 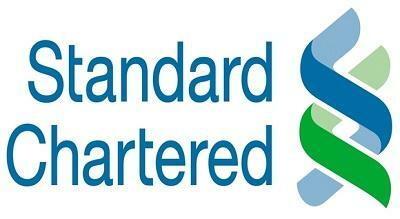 Personal loan: An unsecured loan for standard chartered bank customers who receive their salary through the bank. Scheme loan: A personal loan that is for employees of a company that has an agreement with standard chartered bank. The repayments are usually made directly from their salary. It a loan that is specifically made to meet personal expenses. For you to be eligible you have to earn a minimum gross monthly salary of Kshs.15, 000 for scheme loan and Kshs.40, 000 for the personal loan. There is a 3 day loan payout that is guaranteed. This is a facility that is connected to your salary account and can either be used through a cheque transaction or a debit card on your salary account that is linked to the standard chartered bank. There is availability of both secured and unsecured facilities. You can enjoy to a maximum of up to 70% of your current salary or Kshs.400, 000. For you to qualify for this facility you must earn a minimum monthly salary of Kshs.75, 000. Interest charges on this facility are only levied when you use the overdraft and depend on the number of days you use the money and the amount of money used. This loan helps you to acquire the type of vehicle you want. They help finance both new and used vehicles. The maximum amount offered for new vehicle is Kshs.10 million and Kshs.5 million for the used vehicle. They pay for up to 80% of the value of a used vehicle and 90% for a new vehicle. The repayment period is of up to 5 years. Cost of insurance and a tracking device are also included. For you to qualify for this type of loan you must have a bank account with the standard chartered bank and must also have a monthly salary of at least Kshs.75, 000. You can borrow up to a maximum amount of Kshs.100 million, which translates that you can get the home you have always wanted. This facility from standard chartered has so many benefits such as longer repayment period of up to 25 years and competitive rates that are as low as 13.4%. this facility is available to the employed, non-resident Kenyans and expatriates. There are some charges required once you are approved for the loan such as facility arrangement fee which is 1% of the value of your loan and the minimum amount is Kshs.10,000, fire insurance for the property, valuation fees, mortgage protection insurance for you, legal costs and stamp duty.